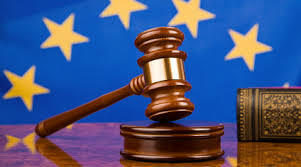 In June 2011, the European Commission - DG Justice published a Green Paper entitled "Strengthening mutual trust in the European judicial area - A Green Paper on the application of EU criminal justice legislation in the field of detention" and immediatly launched an EU-wide consultation on the latter. Many representatives of the civil society, among which the International Juvenile Justice Observatory, answered the call of DG-Justice and submitted their opinions and suggestions on how to improve the European judicial area. Above eighty organisations sent their submission before November 30, 2012, sometimes pairing up or championing the exact same principles and standards in order to convince the European Commission of their importance. To this extent, the IJJO worked in collaboration with other organisations, such as Amnesty International, Fair Trails International or the Open Society Institute - Justice Initiative, in order to ensure the respect of children's rights. Juvenile justice was indeed taken into consideration by the Commission, which provided a ten-question questionnaire with one question solely dedicated to the rights of children in conflict with the law. The International Juvenile Justice Observatory answered this question at length and provided other organisations with knowledgeable inputs. The IJJO also took the time to answer more general questions in order to ensure children's rights mainstreaming and overall respect. Eventually, the IJJO promoted the work of the European Council for Juvenile Justice by sending a copy of the Green Paper on "Measures of deprivation of liberty for young offenders: how to enrich international standards in juvenile justice and promote alternatives to detention in Europe? ", which was in line with the European Commission's question on juvenile justice. At present, representatives of the European Commission and of the civil society work hand-in-hand in order to make sure that this EU-wide consultation will not go unheeded but will lead to major improvements in the European judicial area.